If Apple and Disney can't crack China's market for online content, who can? The recent shutdowns of Chinese services from both companies have set nerves jangling about who might fall foul of the censors next. What exactly triggered the suspensions of the iTunes Movies and DisneyLife services after a few months isn't clear. The companies won't give details, and China's regulator hasn't commented. What is clear is that China is still extremely sensitive about content that's delivered to its huge population over the Internet. Leading American online platforms — like Facebook (FB), Twitter (TWTR) and Google (GOOGL) — have been blocked in China for years. New rules requiring government approval for foreign companies wanting to provide online content such as videos, games and books are making it harder to do business. Experts say the regulations in large part reflect what the authorities were already doing, but they are vaguely worded, allowing officials lots of room for interpretation. The moves against Apple (AAPL) and Disney (DIS) were probably linked to the new rules but would likely have happened without them, said Jeremy Goldkorn, the founder of China-focused research firm Danwei. "The Chinese government simply isn't going to tolerate foreign content coming into China easily without controls and a great deal of scrutiny," Goldkorn said. Apple's iBooks and iTunes Movies services went offline less than seven months after they were launched. DisneyLife was introduced only in December, giving Chinese consumers access to movies, shows, games and e-books via local partner Alibaba (BABA). Amazon (AMZN) has sold e-books and other digital content in China for years but so far appears to have managed to stay on the right side of authorities. The company didn't respond to a request for comment about the new Chinese rules. But China's opaque use of ambiguous regulations is creating uncertainty for Western media. "There are rules but they're not being enforced consistently," said Paul Gillis, a professor at Peking University's Guanghua School of Management. "The arbitrary notion of deciding when to enforce them is not good for investors or good for China." Chinese media are also being watched closely. 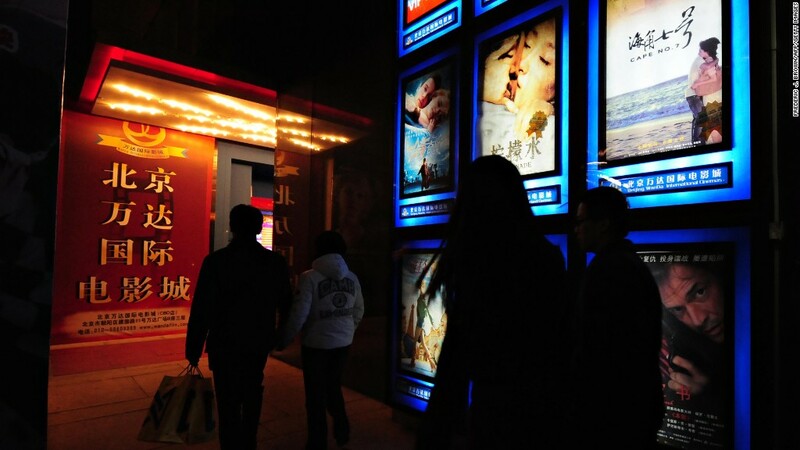 Experts say that any company providing online content like films, books and TV in China is potentially vulnerable. "This is not unique to foreign companies by any means," Goldkorn said. "Chinese companies have the same problem, state media companies have the same problem." He pointed to a 2014 crackdown on Western TV shows on Chinese video-streaming websites including Sohu and Youku Tudou. Apple says it hopes to make books and movies available again in China "as soon as possible." Its App Store and music-streaming platform haven't been affected. But the risks of failing in China were underscored last week, when top investor Carl Icahn said he had dumped the company's stock. "You worry a little bit -- and maybe more than a little -- about China's attitude," Icahn said, adding that the Chinese government could "make it very difficult for Apple to sell there."